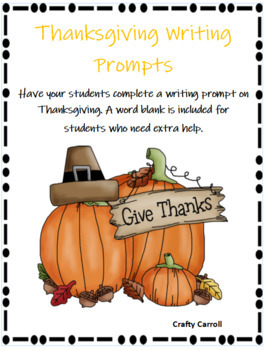 Have your students complete a writing prompt on Thanksgiving. A word blank is included for students who may need extra help. 4 different prompts included.